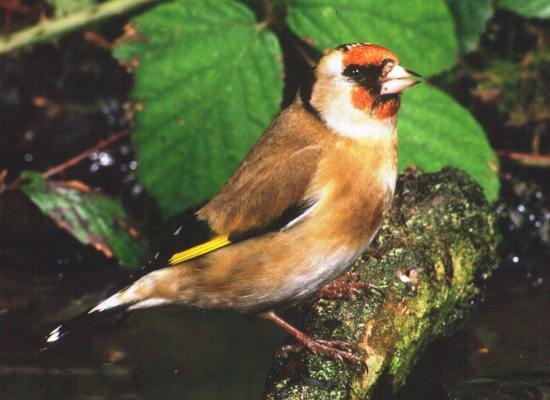 This beautiful resident bird is easy to recognise; and, unlike many other finches, male and female Goldfinches are very similar in appearance. They are mainly seen in lowland areas and are most plentiful in southern Britain. The main sources of food for Goldfinches are weed seeds - thistles seem to be a particular favourite - and small insects. 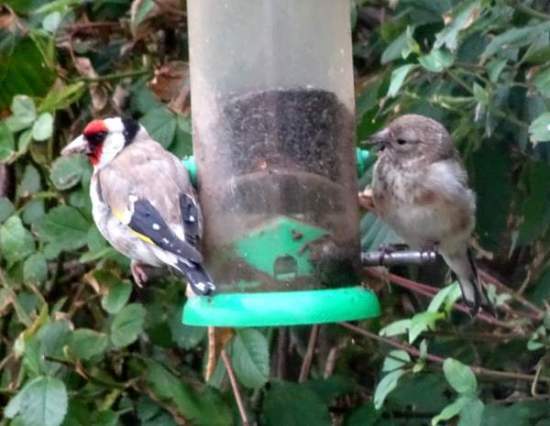 Occasionally they visit seed feeders in urban gardens. 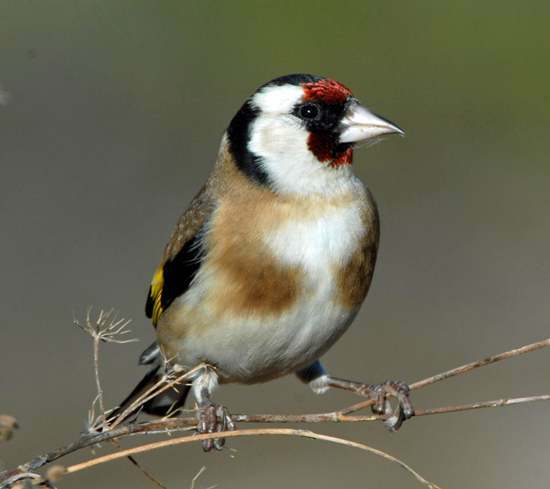 Goldfinches build neat little nests, using moss, lichen, wool and thistle down. The most common place to see them nesting is in a small tree or a bush, where they produce typically four to six off-white eggs covered in purple-brown speckles. 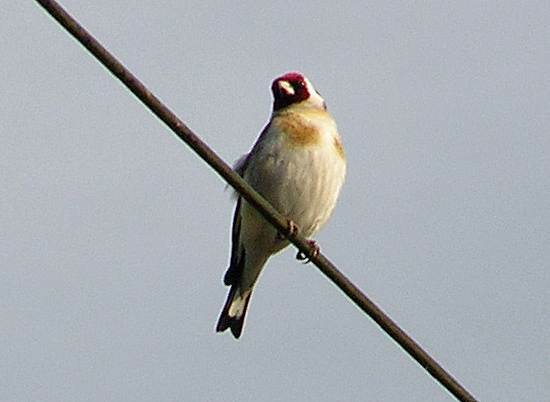 In winter, many of Britain's Goldfinches migrate to southern Europe, but there are still plenty remaining throughout the cold months, particularly in south Wales and southern England. This page includes pictures kindly contributed by Melvin Grey and Ray Rowley.